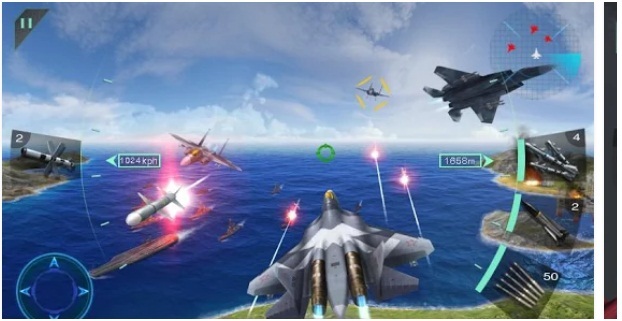 Sky Fighters 3D is an amazing android action game app, here you will have to climb into the cockpit of your favourite fighter aircraft and get ready to take-off for a fight against your enemies. You will be flying solo as a command a superiority over the battlefield. Acrobatic manoeuvres, get the enemy in your sights and hit the trigger. You will shoot them down. Become the supreme lord of the skies in Sky Fighters now!